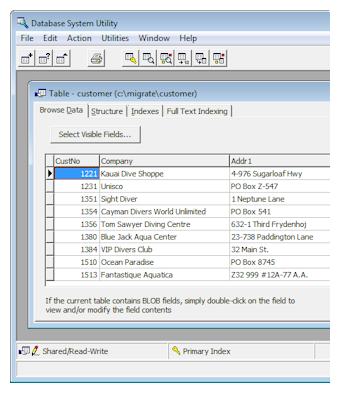 Directly Access Tables and Views You can directly access and update a table or view using the EDBCommandclass along with the EDBDataCursorclass's properties/methods such as ReadFirst, ReadNext, ReadPrevious, ReadLast, Locate, Filter, Insert, Update, and Delete. Execute SQL Statements, Stored Procedures, Scripts You can access and update tables using SQL, the EDBCommand class, and the EDBDataCursor class. 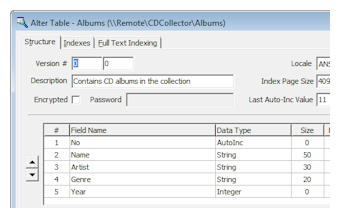 Bothsensitive and insensitive result sets can be returned from any SELECT statement, and you can access and update any result set using the EDBDataCursor class's properties/methods such as ReadFirst, ReadNext, ReadPrevious, ReadLast, Locate, Filter, Insert, Update, and Delete. This gives you the best of both worlds, without sacrificing performance or functionality. ElevateDB is engineered to support both types of access, so you will not encounter performance issues when browsing large tables or selecting a single row for update with the EDBDataCursor class. 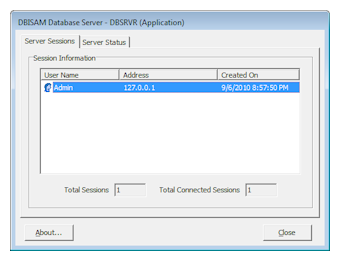 BDE Database Transfer Utility This utility allows the developer or end user to transfer any BDE-accessible table(s) to DBISAM format with a few clicks of the mouse. BDE aliases as well as normal directories are supported as the source for transfers, making it easy to transfer an entire database with little or no effort.